The NFL will soon start experimenting with chip-equipped footballs. But the league has a very specific goal for the new technology. According to The Toronto Sun, the NFL will be using the futuristic footballs during the 2016 preseason to test how narrowing the goal posts could change the game. To be more specific, all balls kicked at the uprights will be designed to measure exactly how closely successful kicks come to the posts. The Sun reports that the league will also use chip-equipped kick balls on Thursday night games during the season if the data collected in the preseason is useful. 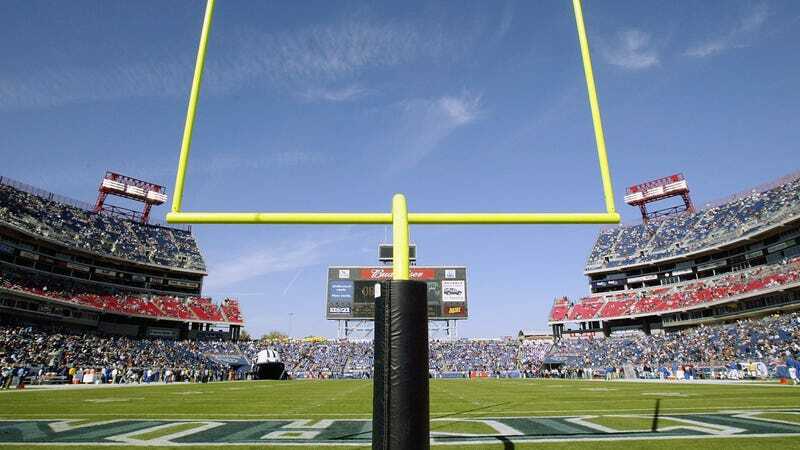 If the data shows that pinching the uprights would make field goals more difficult, the league could implement the change as soon as the 2017 NFL season. At this point, it seems like the NFL just wants to make life a living hell for kickers. Last year, the league extended extra-point attempts to 33 yards, but the move didn’t make it much more difficult for field goals, which kickers have narrowed down to a science over the years. The new experiment also coincides with Wilson, the company that manufactures the official NFL football (a.k.a. “The Duke”), releasing its first connected football. It should be noted that the NFL is exceptional in its quickness to adopt new technology. On March 11, 1986, the NFL adopted instant replay 22 years before Major League Baseball would allow something similar. In the 2014 NFL season, coaches were also allowed to use Surface Pro 2's on the sideline. It took two more years before the MLB started to use iPad Pros. The NFL has also embedded RFID chips into shoulder pads to track players on the field. This isn’t the first time the NFL has considered putting chips inside footballs, either. ESPN reports that the league has toyed with using chips for more accurate ball placement or when the ball crossed the goal line. But the league found them to be too inaccurate when there was a big pile of players. Depending on the success of this latest experiment, though, who knows what the NFL will connect next.